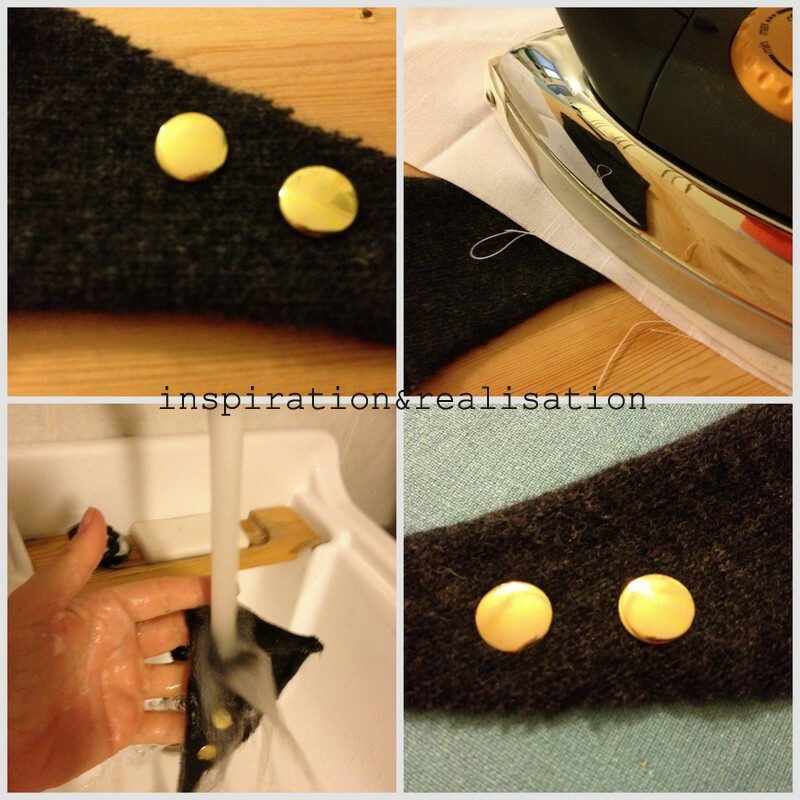 no time, no sew, no pain... no problem! 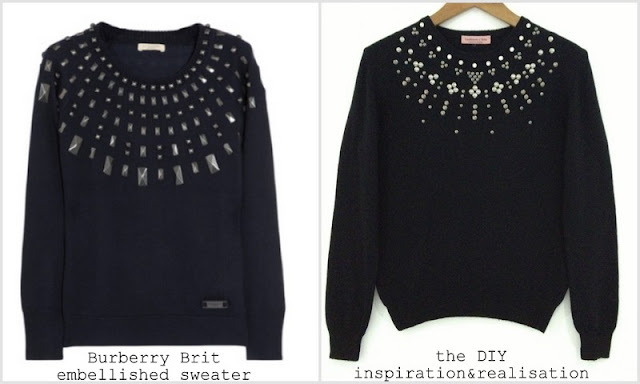 I already made a Burberry inspired sweater with studs around the neckline, but in this case I liked the "sunbeams look" and doing something like that would mean have so many prongs in the back of the sweater that would have been painful to make and to wear. Few weeks ago, I was contacted by Vikesh at crystalsRus if I was interested to try some of their products. I checked on their website and the answer was YES OF COURSE! They have so many options you can really spend a whole day there! 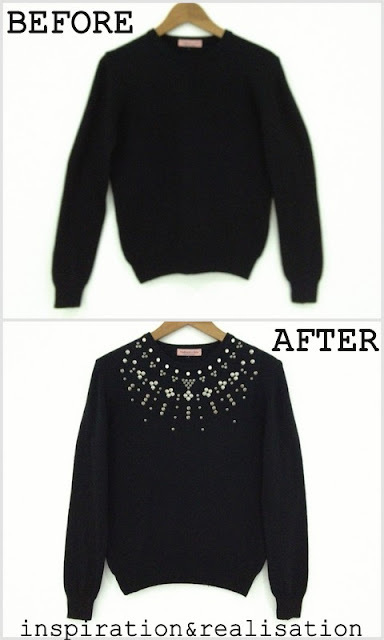 So when I received the box with (so many) items I was pretty excited, since I never worked with hotfix studs and rhinestones before, and thought this was the perfect input to give it a try. by adding some kind of decoration around the neckline. * wait "20-25-30" seconds. 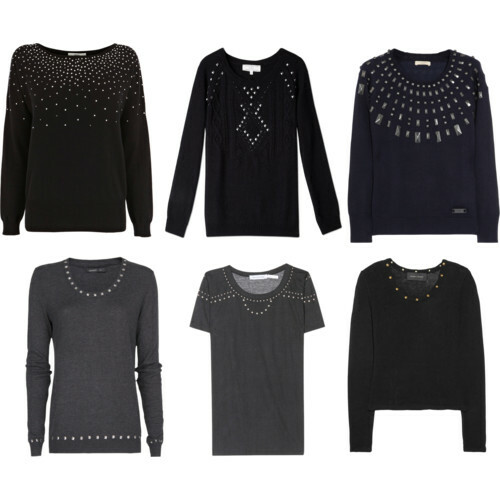 This depend of the kind of fabric, the kind of stud (the longest are the one with the crystal). Always check that all the studs are well adhered on your fabric, in case repeat the operation. 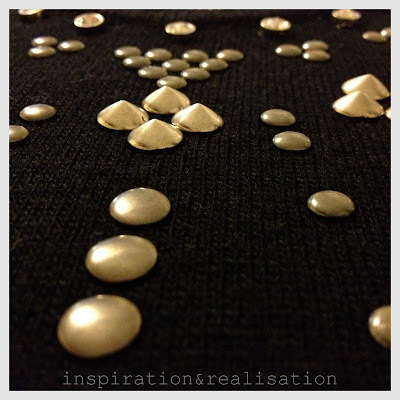 The studs are perfectly on, so I proceeded to make my sweater... keep reading for the step-by-step tutorial! I placed a wood board and without stretching the fabric, I measured and draw a vertical line in the middle of the neckline. will definitely make some more!! Love this! And I need some of those iron-on nailheads!